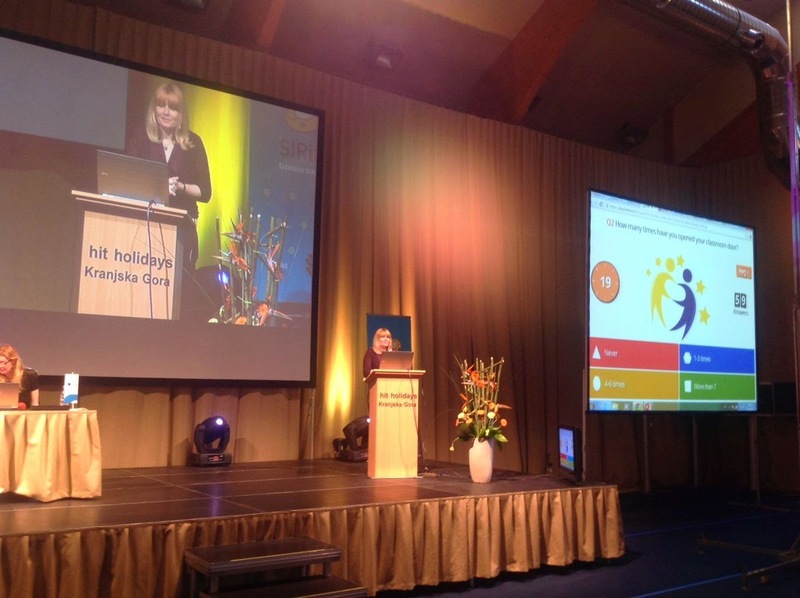 I gave my first plenary to an audience of 300 educators at the eTwinning / SIRikt conference in Kranjska Gora, Slovenia, yesterday. Before I got on the stage, seeing 300 people in the huge conference hall sounded intimidating for a shy speaker like me, but once I started my talk I felt more confident and happy to be there. Another great thing was involving the audience in my talk with the interactive Kahoot quizzes and the response I got was terrific.